You’ve seen them before, even if you didn’t know what you were seeing: #hashtags have become much of a trend on the Internet within the past few years. Starting on the social networking website Twitter, other social media sites have picked up on using them as well.These include the hot social media sites such as Pinterest and Instagram. While the use of the hashtags is used by Twitter users from all over the world to talk about a wide range of topics, you can even use it to help your business and increase exposure. The Hashtag is simply the two words combined into one (with no spaces) with the “#” in front. It can also just be one word eg #Marketing. The hashtag first became useful as a way for users to separate messages into different categories so that other Twitter users can easily find the messages that relate to what they are looking for. It is generally quite simple to create a hashtag message. All that you really need to do is put the “#” symbol in front of the words, but make sure there are no spaces in between words. For example: you could be writing a tweet about your business and the products available and then end the message by putting something along the lines of #BestProductsAvailable. Note that capital letters don’t have an effect on the search but can make it easier for users to read. Why Are Businesses Using Hashtags and How Do They Help? Many businesses, big and small, are using hashtags as a way of gaining more attention for the brands, products, and services that they have to offer. There are currently millions of people worldwide who log onto Twitter every day to write tweets or see what their followers are up to. To sum it up, if you want free exposure for your business, creating a hashtag for it would be your best bet. Social media marketing has become increasingly popular and tons of businesses are getting involved, creating social media website accounts and using them in an efficient manner so that they are getting more exposure for their business. This leads to more traffic on their website and improved overall engagement with their customers. Greater engagement typically translates into a more positive experience for the consumer which has long-term positive effects for companies. What Topics are Important in your Industry? Think about your business and what relates to your business. You take topics that relate to the business you have and use them for your hashtag. For instance, you can find a lot of different trending topics on Twitter and find out what hashtags are currently being used on the social networking website. One hashtag that may be popular for the day could be something along the lines of #socialmediatips. If you know a great deal of information about social media and this topic pertains to your business, you can offer a tip or two in your tweet and end the message using the #socialmediatips hashtag. You may also want to consistently use a few hashtags that are related to your brand, such as you would with keywords for SEO on your website. This helps users find you later if they’re looking for what you have. The entire process of using hashtags is quite simple. If you are looking to expand your business and increase your success without having to pay a single cent, relying on social networking websites and, in particular, the hashtag is a great way of making yoiur Tweet more visible. 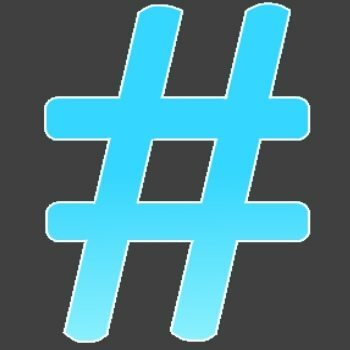 How are you using hashtags? What sort of hashtags do you find work for you? Do you create search columns on Hootsuite or Tweetdeck to stream and manage them? Guest Author: Tara Hornor Tara Hornor has found her niche writing about marketing, web and graphic design. She writes for PrintPlace.com. Connect with @TaraHornor on Twitter. Want to Learn How to Use Twitter Effectively to Promote your Business and Brand? I will also reveal hundreds of tips about how to use social media to become visible on the web and also insights into creating and growing tribes, fans and followers on social networks such as Twitter and Facebook.